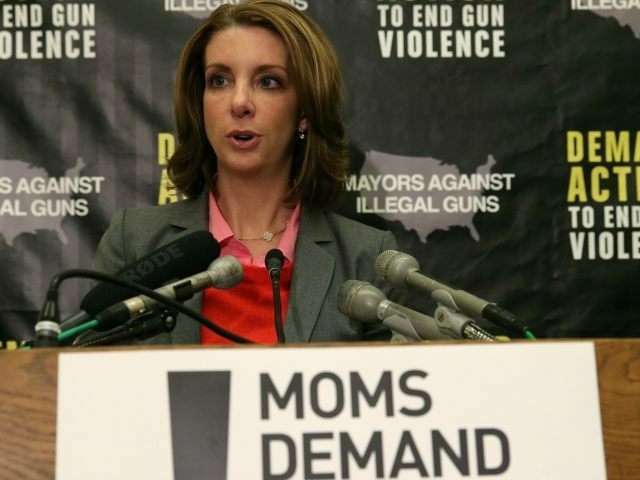 On January 10, Moms Demand Action founder Shannon Watts attempted to recruit Teen Vogue readers to the gun control cause by assuring them that her group wins by bypassing Congress. Moms Demand’s Watts also claims that gun control candidates have been winning at the ballot box, even though pro-gun control Senate Democrats literally took a shellacking in the November 2014 midterm elections and Democratic presidential candidate Hillary Clinton lost to pro-Second Amendment Donald Trump in the 2016 presidential race. Moreover, Maine voters rejected Watts’s control push on November 8, 2016, and, although Nevada narrowly passed Watts’s gun control, Nevada Attorney General Adam Paul Laxalt blocked the planned January 1 implementation of the controls. Laxalt put an indefinite freeze on the gun control, citing the fact that it had been written in such a way as to get passed but was literally unenforceable if put into action. Watts did not mention these and the many other defeats her group has suffered. Instead, she constructed a straw man out of the NRA and attacked the gun rights organization for sundry reasons, including their push to change Florida airport regulations so that law-abiding citizens can be armed to defend themselves should another baggage claim-style attack occur. As it now stands, Florida airports are gun-free zones, which means the only people with guns are the attackers. We saw the results of this gun-free policy on Friday, and we saw even more innocents killed when the gun-free Orlando Pulse nightclub was attacked on June 12, 2016. But Watts has a plan, and it is the same plan she has been touting for years — push gun control regardless of the demonstrable dangers associated with it — and if Congress sides with the NRA, then “bypass Congress” altogether via state-level ballot initiatives funded by outside money. But despite the gun lobby’s perceived power, a movement of Americans has come together to fight back against the NRA leadership’s dangerous agenda. I started Moms Demand Action for Gun Sense in America as a Facebook page in my kitchen the day after the shooting at Sandy Hook, and over the past four years, we’ve learned how to be the David to the NRA’s Goliath. We’ve bypassed Congress and taken the fight for stronger gun laws to the states — and we’re winning. Two things: 1. Watts began pushing to bypass Congress on January 1, 2015 — just under two months after she and her cohorts were soundly defeated by voters in the November 2014 midterm elections. 2. Watts tells Teen Vogue readers she started her gun control group “the day after the shooting at Sandy Hook” and that they have been winning. She fails to mention that her group began as part of the effort to help President Obama and Senator Joe Manchin (D-WV) pass more gun control in the wake of the Sandy Hook attack. They failed miserably. Manchin’s gun control went down in flames on April 17, 2013, three days after Manchin himself admitted that it would not have prevented the attack if it had been in place beforehand.